This “Just Dance” Banner is the perfect signature decoration for a party and/or inspiration for a twirling ballerina’s bedroom! 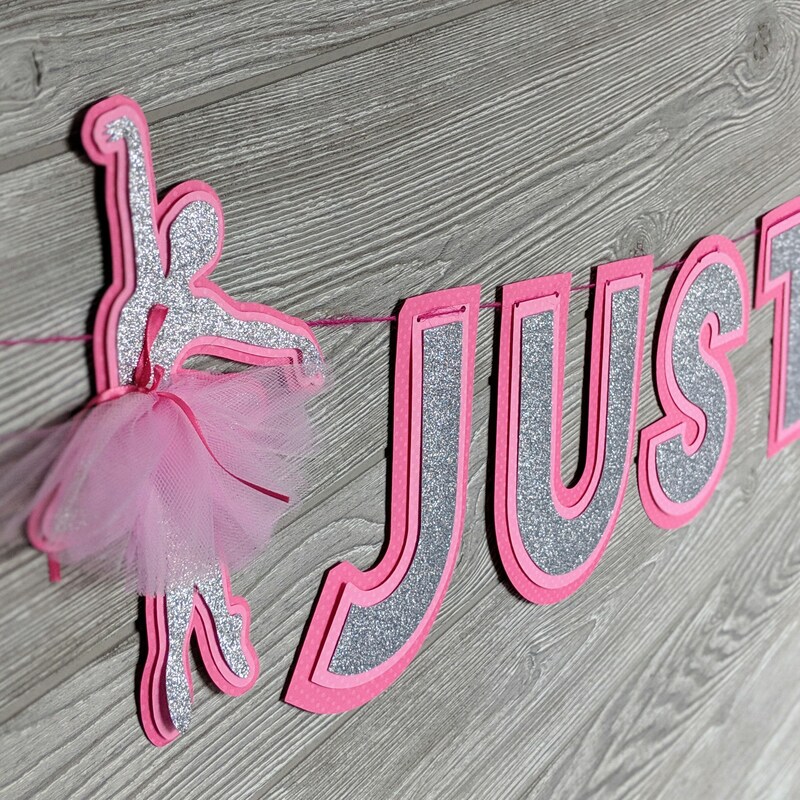 This banner is constructed from three layers of coordinating cardstock: dark pink, light pink and silver glitter. The pink cardstock is detailed with subtle polka dots for added depth and dimension. Each banner comes with two ballerinas, with tulle tutus, to be used on each end of the banner. The colors of the pictured banner are: dark pink, light pink and silver glitter cardstock. Each letter measures approximately ___. The complete "Just Dance" image shown in in the posting is strung between two hooks spaced approximately 6 feet apart. 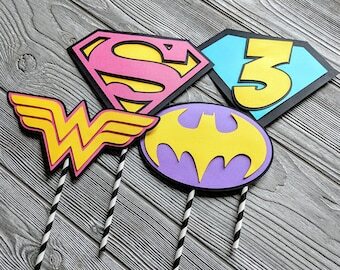 If you are planning a party and would like to add or explore matching centerpieces or a cake topper, please let me know. If you are decorating a room and would like to add or explore matching prints or images, please let me know!